Safety and hygiene is an important part of running a functional and successful business anywhere. Breaking these rules can result in unwanted consequences, so it is important to know the rules in Japan and figure out what is necessary for your company. All regular employees must go through a mandatory health checkup when entering a company. If an employee has two workplaces, they might have to undergo the same procedure twice. In such cases, it is good to discuss these procedures with the employee and a health clinic. It is an obligation of the hiring company to provide a new employee with such health check: one’s health examination is organized and paid for by the employing party. All regular employees should undergo a medical examination every year. Usually, it is a duty of the company to organize and fund its workers’ health examinations. However, it is also possible that the employees would prefer to arrange their own health check-ups in case preparations made by the employer are declined. In such situations, employees might need to fund their own check-ups, unless otherwise has been agreed. Health examination should be more frequent for the employees engaged in dangerous working conditions. For example, those working during night shifts, handling dangerous chemical elements, contacting hazardous environments, etc. Usually, these workers undergo health checks every six months. It is a rather new practice (since 2015) for companies with 50 or more employees. Such companies should implement a stress check system. The system aims to assess workers mental state and its influence on their performance and a quality of their life overall in order to prevent any possible damage resulting from a work-related stress. Usually, employees undergo yearly interviews where they can comment on the working conditions in a specially designed questionnaire. Based on a questionnaire a medical professional will assess one’s mental state and provide further comments and consultations if needed. Another purpose of such a system is to improve working conditions in the company in order to prevent breakdowns. The employer can choose to use the questionnaire developed by the Ministry of Health or to create one’s own. Regardless of the choice, all questionnaires should cover three areas: symptoms of stress, causes of stress in the workplace, and one’s personal relationships. Here are some example questions designed by the Ministry of Health: “I have an extremely large amount of work.” or “The atmosphere at my workplace is friendly.” with the response range from “not at all” to “very much so”. Other assessment points might include the following issues: how energetic or exhausted person feels at a workplace, can a worker concentrate on the assignments, etc. As for the relationships, employees can be asked if they feel that they can freely communicate with their colleagues, supervisors or family members. Companies that have 50 or more employees need to appoint a health officer. The officer will handle the health-related logistic for workers. When a new employee joins the company, he or she must be trained and instructed about the safety and hygiene rules and guidelines regarding their position. It is a duty of the employer to provide such training and all the necessary information. 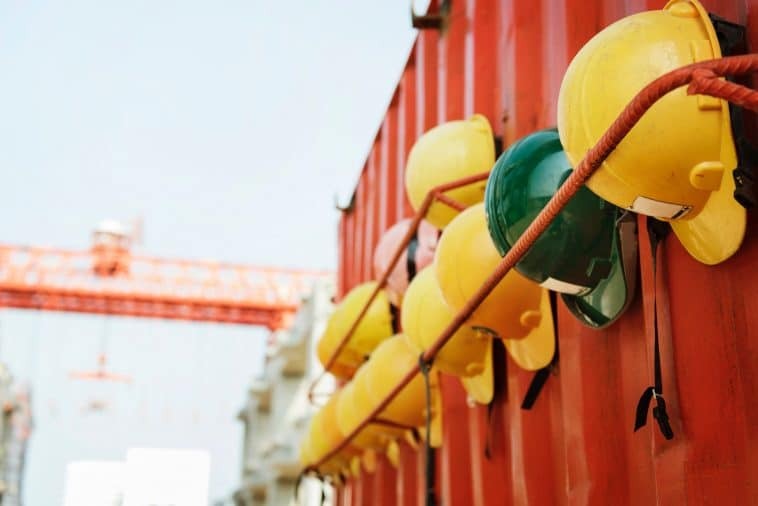 In case a worker got injured or killed performing one’s duties at work, the case must be reported to the correspondent labor standard inspection office. Health examinations arranged by the employee are usually carried out in a designated hospital or at the company premises if a company invites medical personnel to arrange check-ups on site. In either situation, workers will go through several different tests. Beside the routine measurements of height and weight, blood pressure, etc., workers might need to go through chest x-rays or take a blood test. Sometimes employees need to feel in some questionnaires about their lifestyle and habits. For example, smoking, alcohol or coffee consumption, sports and exercising, work schedule and so on. At this stage, one can also mark any noted health changes since the last check, or any other symptoms that have been troubling an employee, like pains, insomnia, exhaustion, etc. After completing a health check, every employee will receive a letter grade evaluation of their health state with A being the highest option, followed by B, and so forth. The records of each health examination are archived, and both employees and employers can see the gradual development of one’s physical and mental state which can help to create better working and treatment practices. An employee can arrange their own health check-ups themselves if they do not want to go to the prescribed hospital and participate in check-ups organized by the employer. In this case, the employer still might get a list of recommended hospitals to visit. Usually, it is the duty of an employer to financially cover such health examination. However, if the employees choose to stick to their own arrangements, different rules may apply. In Japan, safety and hygiene practices require the employers to provide a health check-up for the newly hired regular employees and organize annual health examinations for the workers, especially if the company has 50 or more regular employees. Regular check-ups aim to assess the physical and mental state of the workers. All the employees should be well informed about safety and hygiene rules, regulations and requirements related to their work. If a company has 50 or more employees there should be a health officer or an industrial physician in the workplace. This person will provide on-site assistance or take care of health-related logistics for the employees. All cases of traumatism and deaths in a workplace must be reported to the labor standard inspection office. Are annual health examinations obligatory? While the employer must provide an opportunity for the employees to go through the yearly check-ups, it is not obligatory for employees to agree to them. However, many companies make such check-ups a mandatory condition for those who would like to join the company. When signing the labor contract, a future employee technically gives the agreement to such a condition and later must comply with it. Thus, many companies make health examinations obligatory for everyone by including them in the contract as a mandatory condition. In such a way a company can see if there any conditions that could influence one’s efficiency as a worker. All the employees have the right to keep their test results private. It goes both for physical and mental health. Nevertheless, many foreign workers do not exercise their right of non-disclosure mainly due to language barrier issues. All the documentation is handled in Japanese, and sometimes workers do not know that they can opt-out of disclosing their medical records. Quite often the results of examinations end up in the HR department. However, regardless of the employee’s consent to disclose or retain the information, the workers have the right to access the follow-up treatment when needed. I have questions about my occupational safety and hygiene. Who can help me in English? There is a Telephone Consultation Service for Foreign Workers provided by the Ministry of Health in a variety of languages, including English. There are also advisers for the foreign workers available in many Labour Standards Departments. More information on the opening hours, locations, and telephones can be seen in this brochure. Can I be dismissed while I am on a sick leave? No, workers that went on a sick leave for a prolonged period of time, especially when it happened because of the work-related issues, cannot be dismissed from work. How do the letter grades from health check-ups influence my employment situation? The grading is used to draw statistics on a general health situation among employees in order to create and improve the working conditions, as well as to advise a certain employee on relevant treatment. The doctors might ask if a certain employee has taken any steps to address one’s possible health issues when grading stays continuously low or drastically decreases. Low grades cannot be used as a reason for dismissal unless the work demands a certain level of physical abilities, stated in the labor contract.